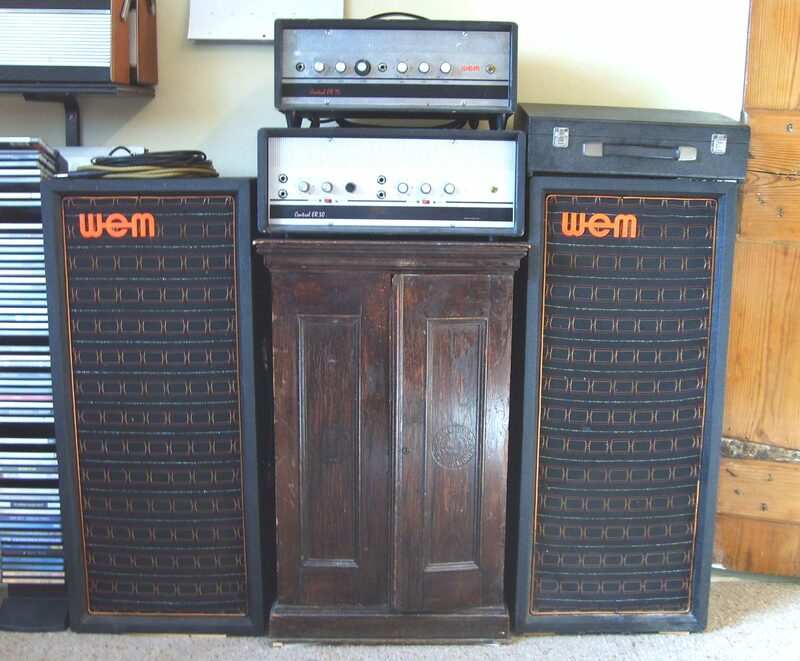 Roger is based near Peterborough and has built up a large collection of vintage amps and cabs, including quite a few WEMs. The amps on top are an ER30 and an ER15 and the cabs are WEM PA units housing a 12″ Goodmans loose suspension bass driver, a 10″ Goodmans lead unit and a central horn. On top of the right hand cab is Mk 111 Copicat. There will be more pictures to add soon.